So I will document parts of the build here for all that are interested. P.S. These threads were originally posted on the TrailVoy board, so some references may not be apparent. 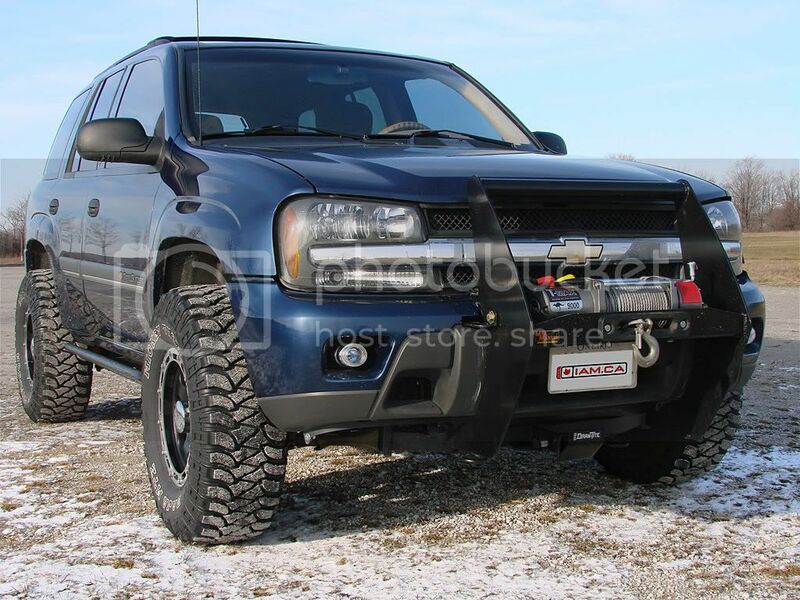 So here is the story of how I ended up with a Toyota FJ bumper on the front of my Trailblazer. When The Roadie released the news that he was getting a custom front bumper made, I was all excited and ready to join in on the project (i.e. getting a Trailblazer version made). However, reality set in when I realized that shipping something that big and heavy to Canada was going to be a problem and/or very expensive. So I started to look for local alternatives. I mentioned my plans to Ryan at National4WD, which had done previous excellent work, and he said he would be up for it. So I started looking around for bumper candidates. The main criteria was of course size and fit, with a winch mount being second in importance. Problem was that it was extremely difficult to get measurements from most of the bumper manufactureres. Except for one company - FabFours. They have a great interactive tool on their web site that lets you rotate and zoom into a 3D cad drawing of their bumpers. 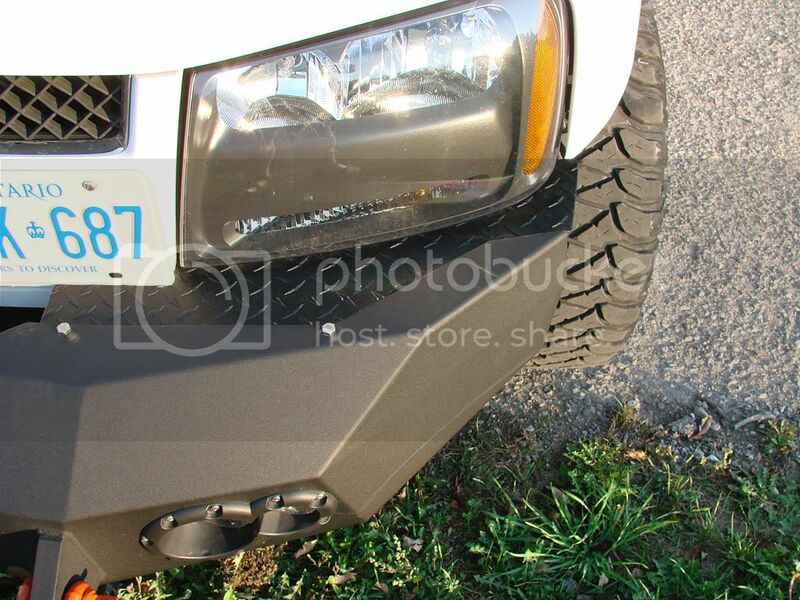 And when I asked, they sent me a precise cad graphic of the bumper I was interested in, with measurements. And as luck would have it, National4WD was a FabFours dealer, and had a bumper in stock! Well, this was too good of an opportunity to let pass by so I left the vehicle with them for a test fitting. Ryan gave me the good news and I said "lets go for it!" 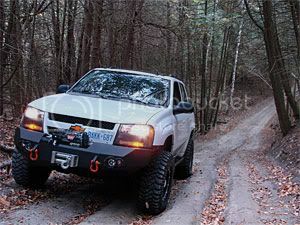 One of the side benefits of having the FabFours Toyota FJ bumper work with the Trailblazer is that it is a winch bumper. From the get-go I liked their design and how the winch tucks neatly into the bumper. 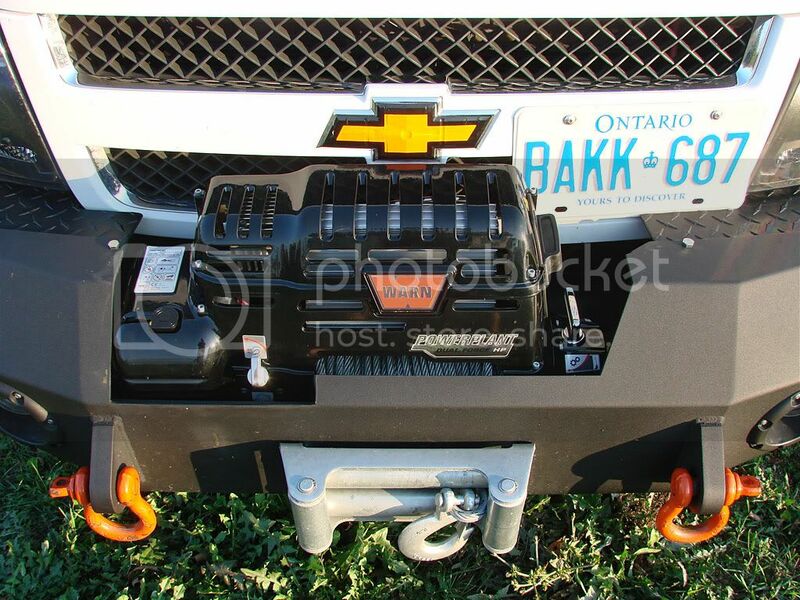 The winch I decided on is the Warn PowerPlant HP Dual Force. 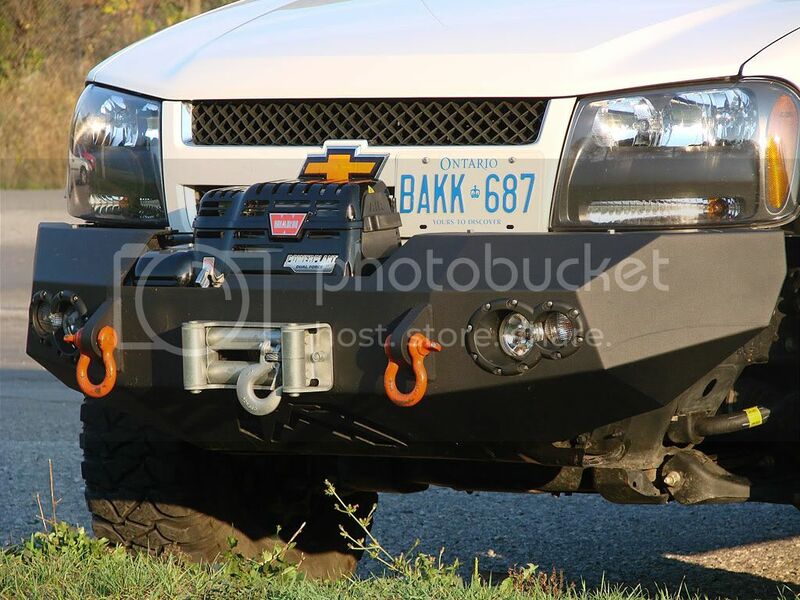 This model is the first winch that also has an integrated air compressor. 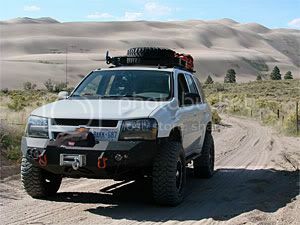 This was an important aspect as I decided to start to lower my tire pressure when hitting the trails, specifically when driving through the Great Sand Dunes National Monument on my Colorado expedition. An additional side benefit of the PowerPlant design is that everything (control box, solenoids, etc.) is integrated into the design. There are no extra boxes or wiring to run, just a straight pos and neg to the battery. Depth-wise, the winch fit perfectly. When positioned in the bumper's mounting holes, and the bumper tucked up against the frame rails, the winch sits perfectly close to the front grille, which can still be removed. The problem was with its width, and the openening design of the FabFours. The PowerPlant is much bigger than a standard winch and it just wouldn't fit into the opening and line up with the mounting holes. Additionally, 2 out of the 3 control switches (plug for hand control, switch for winch/compressor operation, and switch for winch clutch). I then painted the edges with POR-15 to make sure rust wouldn't start. 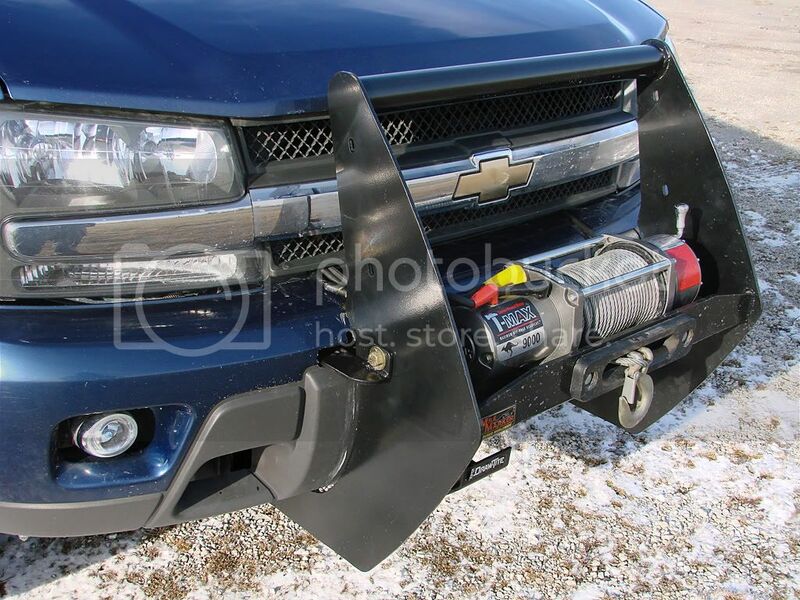 Although the bumper sat nicely against the frame rails and more or less followed the contours of the Trailblazer, there were 2 large gaps at the top just below the headlights. To solve that, my fab guy made 2 pieces out of aluminum diamond plate. I powder-coated them with a textured flat black, trying to match the bumper as close as possible. 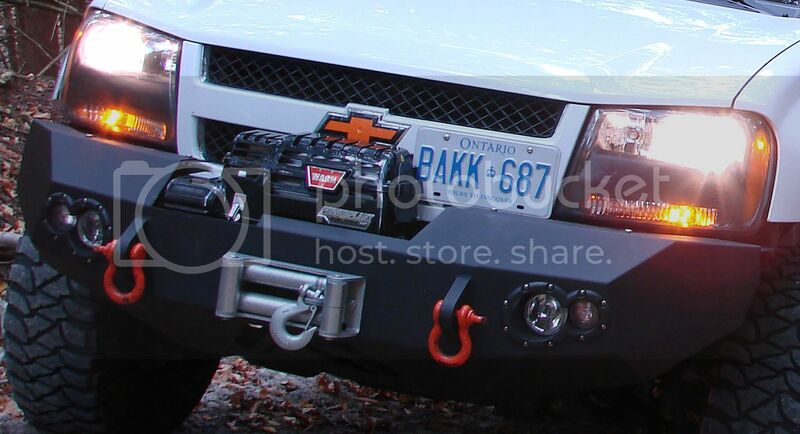 The lights come with the bumper, one set for turn signals, and the others are Hella's used as driving lights. I ended up installing them but not without doing some cutting of their brackets as the mounting of the bumper got a bit in the way of the mounting location. The Hella's come with an H7 bulb, which I am going to change to a yellow (fog light) H7 bulb for better visibility in inclement weather. Mounting the bumper is where Ryan at National4WD got his top marks. The stock mounting brackets were ditched and custom pieces were used. 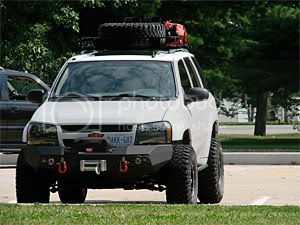 The rear of the bumper actually sits (touches) right up against the front of the Trailblazer's frame rails. 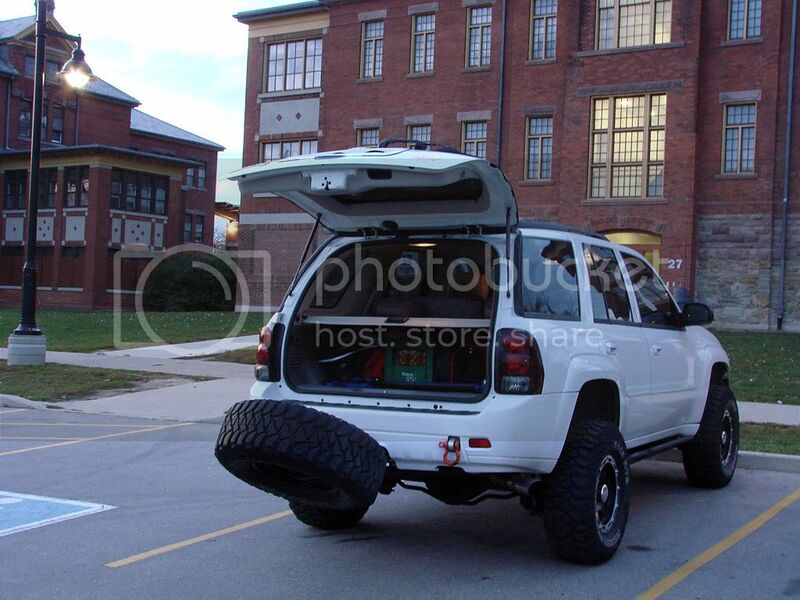 Each side of the bumper is mounted with 8 grade 5 bolts, 4 on the bumper and 4 on the frame rails. 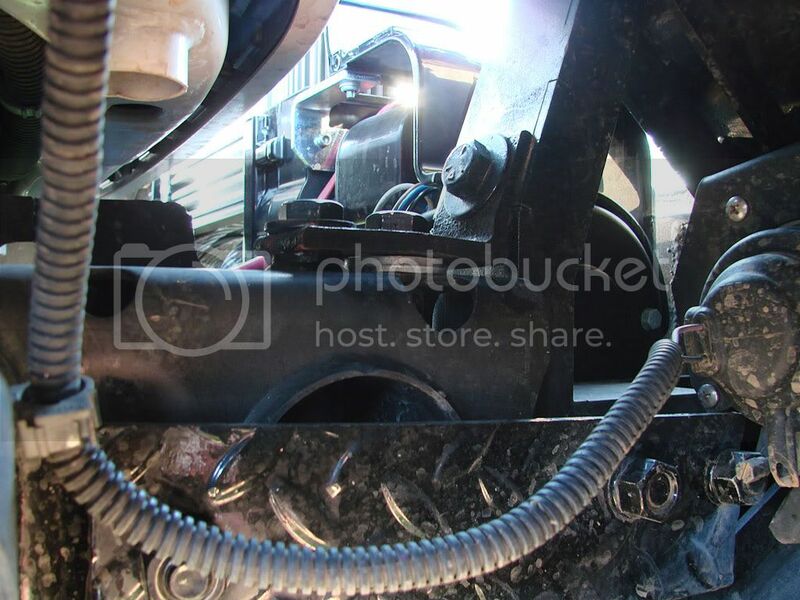 One of the bolts on the frame rails uses the stock "through-frame" hole and extends vertically all the way from the top of the frame rail to the bottom. The red lines show the bolt locations. The three additional bolts are used with the supporting steel plate and are perpendicular to the other bolts. All this was tested out at the shop with some pulls on the Winch. I haven't had any "real world" tests though as I have yet to get stuck. Overall I am extremely pleased with the products and the fabrication work. A couple of small items to point out. The bumper did not wrap around the sides as much as I had hoped, so there is a bit of gap between the bumper and the body. Specifically around the area where the plastic bumper attached to a metal tab (straight down from the leading edge of the fender). One option was to cut this tab off but I decided to leave it on and to paint it black with anti-rust paint. Now it just blends into the rest of the black pieces. 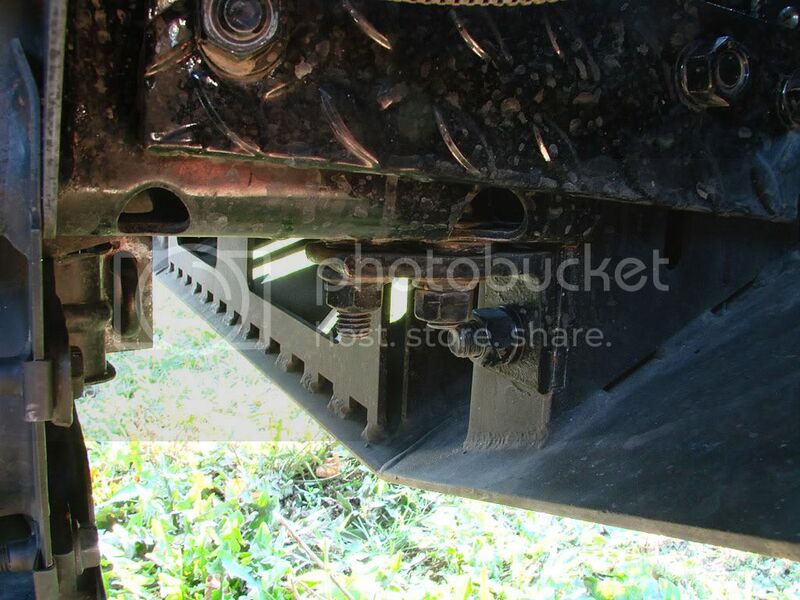 There is also a bit of gap between the very bottom-back of the bumper and the metal radiator skid plate. Possibly large enough to wedge a large rock in between which could cause a problem. Some kind of skid plate tying the two together may be somwhere down the road. 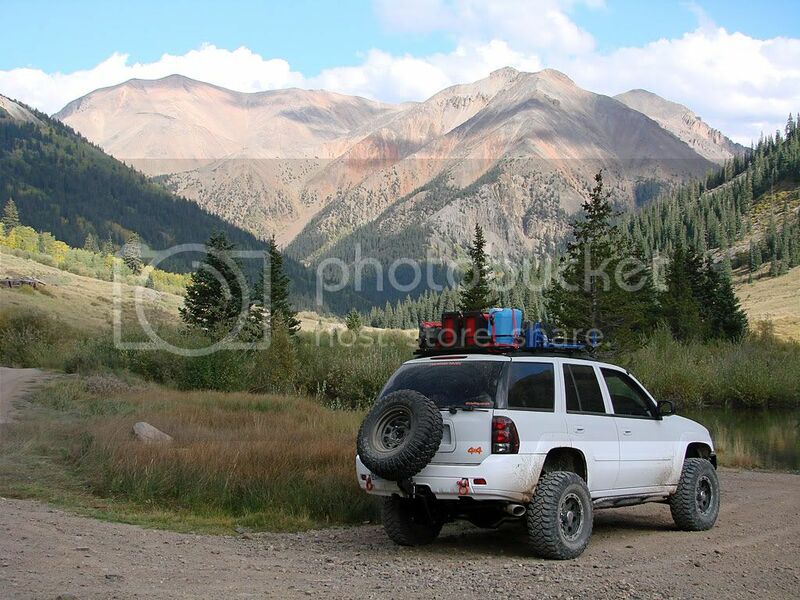 During the planning of my expedition to Colorado, I realized it would be a very smart idea to have 2 spare tires. This was also prompted by the fact that I already had one full size Mickey Thompson sitting around since I bought the set, never had a need to use it. So I decided to buy another brand new tire, put the 2 new ones on the rear, and use the 2 used ones as spares. One was going on the Surco Safari roof rack, and the other one was supposed to be fitted at the rear bumper somehow. 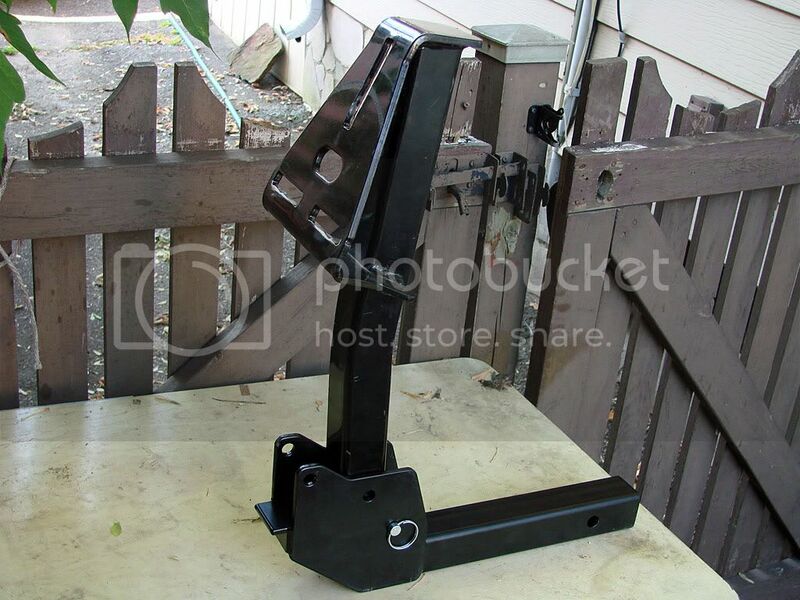 The first item is the Curt spare tire mount, purchased from The Roadie. 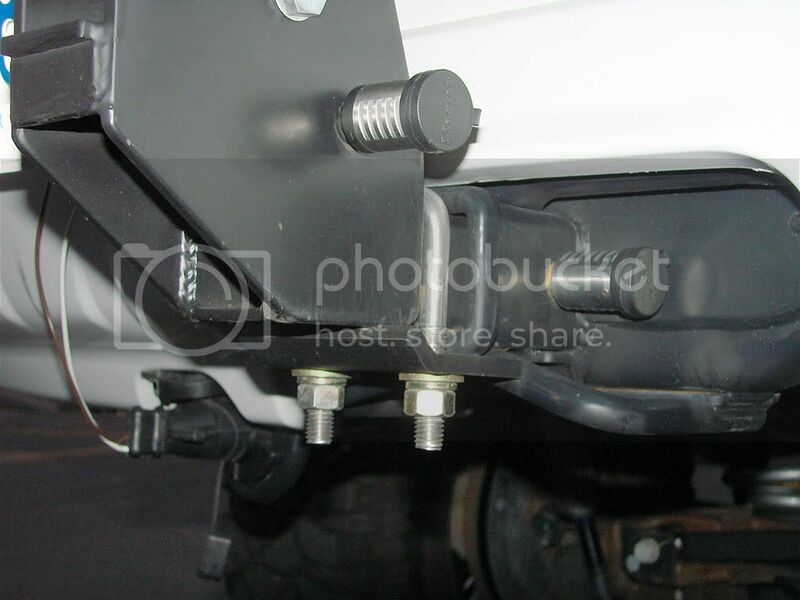 The second item is the Surco fold up rack adapter, and finally a Hitch-Coupling tightener. Both purchased from FastTrackRacks. 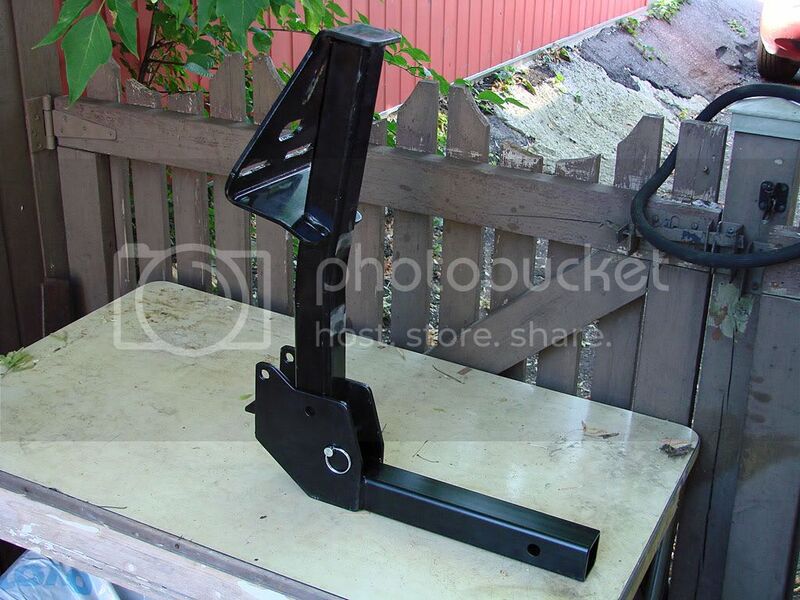 - I drilled 2 holes into the part that slides into the hitch receiver to adjust how far out the whole assembly sits. The tire needs to be out far enough to clear the rear wiper. As luck would have it, the tire sits low enough so that I can open the top window and access the rear without lowering the Curt. This is OK to grab lighter things from the back, but for anything heavier such as coolers, or large suitcases, the spare needs to be lowered. - I had 2 pieces of 1/4" thick 2" wide square tube cut and bolted them to the face plate of the Curt. This was needed to push the wheel outwards and allow the tire to clear the back of the Surco assembly. I used grade 8 bolts for this and ultimately had them welded on as well so that I do not need to fumble with the bolts when putting the wheel on and taking it off. - And finally, I had to cut about 1/2 an inch off the metal tab that sticks out at the back of the Surco. The tire was not completely clearing this when I would raise and lower the Curt. In discussions with The Roadie, he warned me about the Curt rattling inside the hitch receiver, and that all products he tried did not do anything (except for his TireGate which has a real solid system to clamp it). 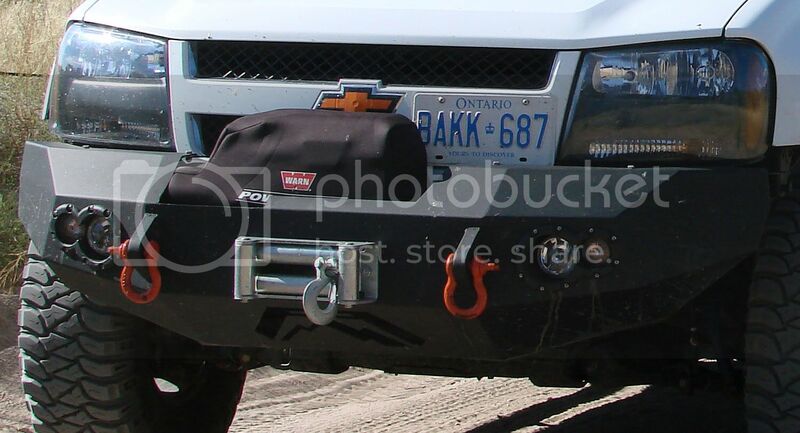 I ended up trying the clamp from FastTrackRacks (see picture above) as I was purchasing the Surco from them as well. Note: the clamp I got looks a little different from their picture. The clamp uses a U-Bolt that is almost exactly 2 inches inside width so fits very snugly over the hitch receiver. 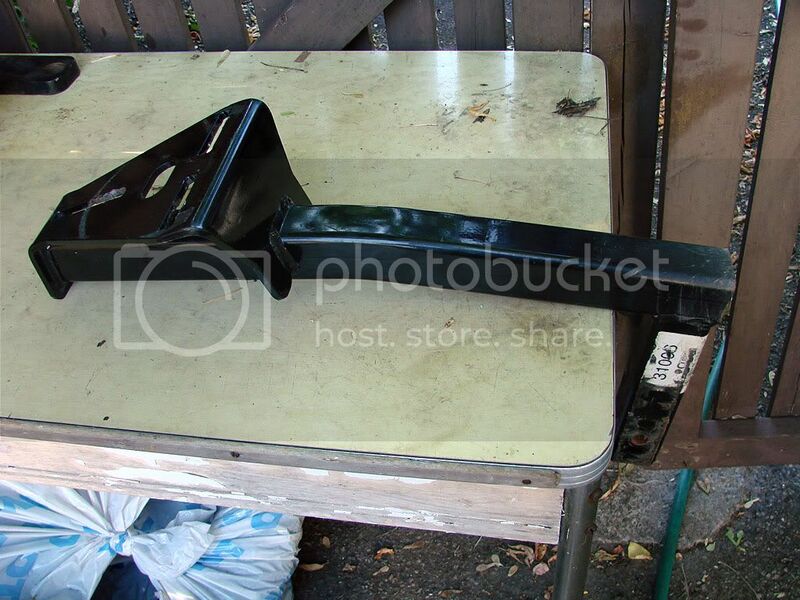 The metal piece then gets tightened up against the hitch reciever on one side and the Surco on the other. This is a very good product and locks everything into place extremely well. I have had absolutely no rattling since it was installed. Very happy with this product. So here are some pictures of the whole assembly in action. Unfortunately I don't have any with the rear window open or the spare down and the hatch up. But I will try to take some this afternoon and post them later. 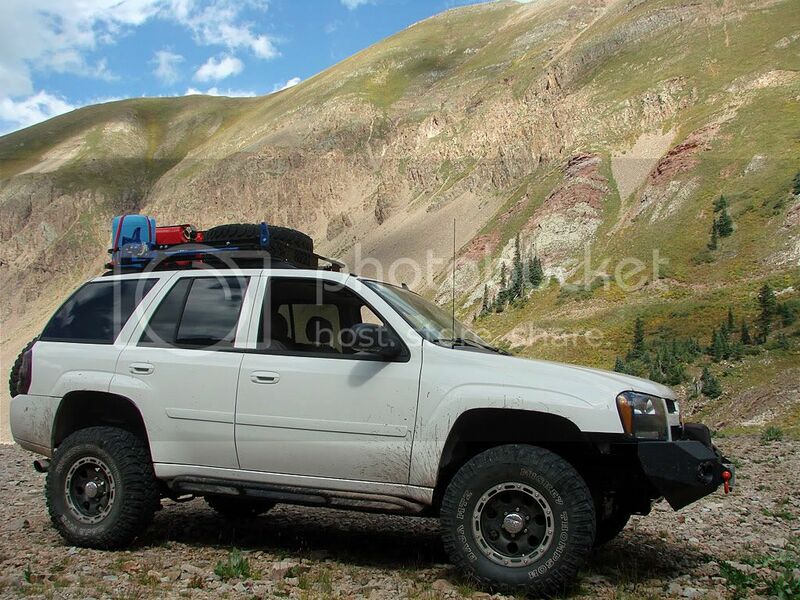 So far I am very happy with what I put together and it worked well on the expedition. The spare is a bit heavy to lower and raise, but workable. 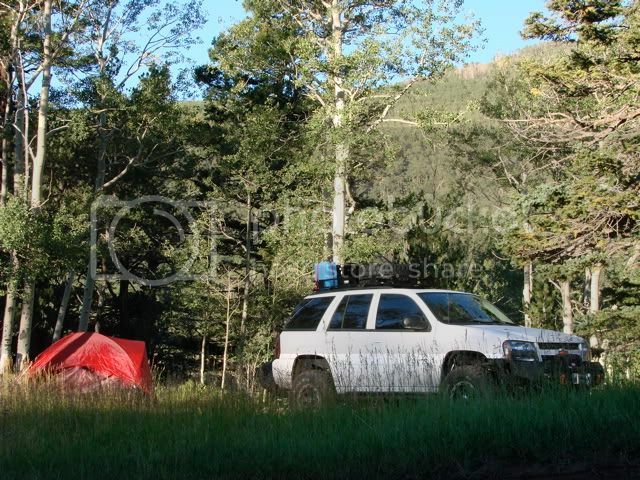 Plus when I camped out for the one night on the other side of Medano Pass, it was handy to leave the spare lowered and use it as a makeshift table (you can kind of see it lowered in the picture). Here are some pics I took late this afternoon. The first one is a close-up of the clamp. You can see how the very thick piece of metal is shaped (like a J) and how the U-bolt is tight against the Surco going into the hitch receiver. The other three pictures are of the various states of open hatches and lowered spare carrier. I also bought a license plate relocation adapter (with light) and mounted it to the side of the spare. However, it does not move the plate enough to the left so the right side of it, with the year sticker, is not visible. I'm going cut the light part off and use it to hold the plate inside the spare tire, where it used to be. That way I can be 100% legal - visible and lit. 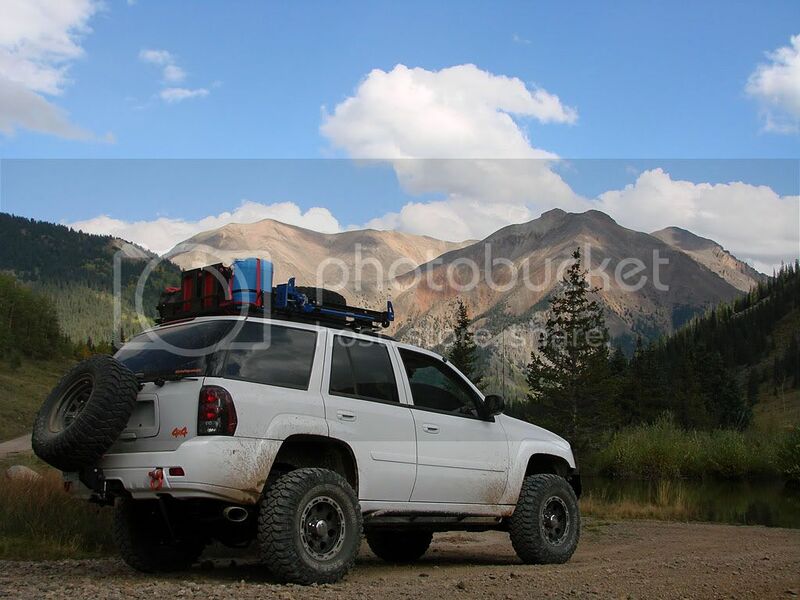 For the past year and a half, I have been researching and planning to put together a custom suspension for my Trailblazer, one that addresses several issues I had encountered since starting to upgrade my vehicle. But first, some background. However, after all this was installed, I started to notice some problems. 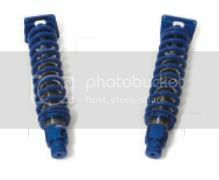 Mainly it was the accelerated deterioration of the Bilstein shocks, specifically the front ones. I believe that all the additional weight I had in the front, including the 33" tires (which put strain on the shocks going upwards) was too much in the long term for even the heavy duty Bilsteins. The other inherent problem with this setup was the reduction of front approach angle both from the MileMarker and the Curt. 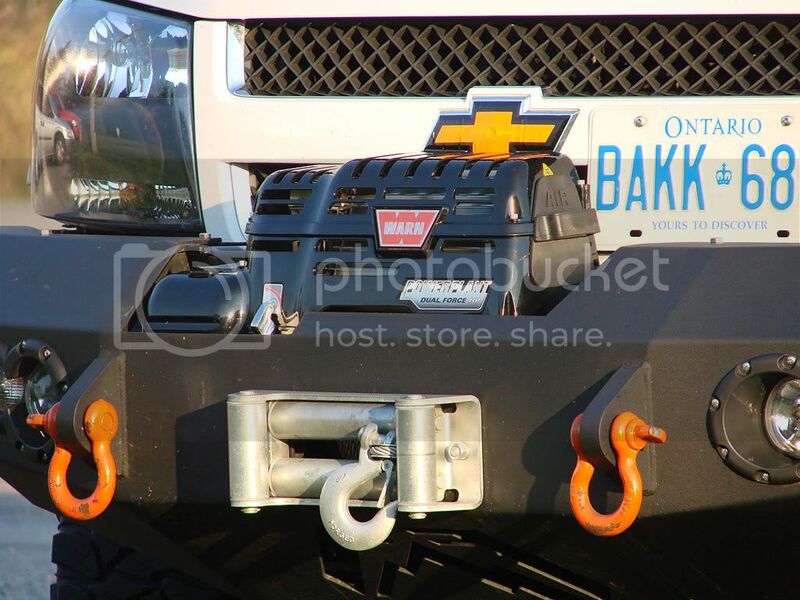 I left the Curt on the vehicle (which bolts to the frame) as a strong winch/tow point. So, even though I was pretty much settled on the front guard/winch setup (notwithstanding the approach angle issue), I started looking for alternatives to solve the shock problem, which unfortunately is made more difficult as the front suspension is a coilover setup. 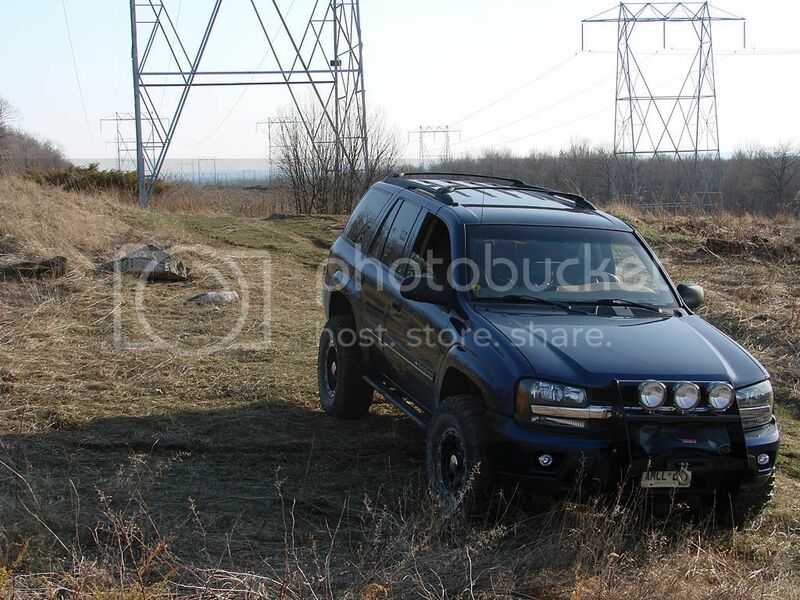 After my blue 2002 Trailblazer was picked up by the insurance company (total write-off), I began searching for a new Trailblazer, as I had decided that I had too much knowledge (and some parts that I pulled from the 2002) invested to start fresh with another vehicle. 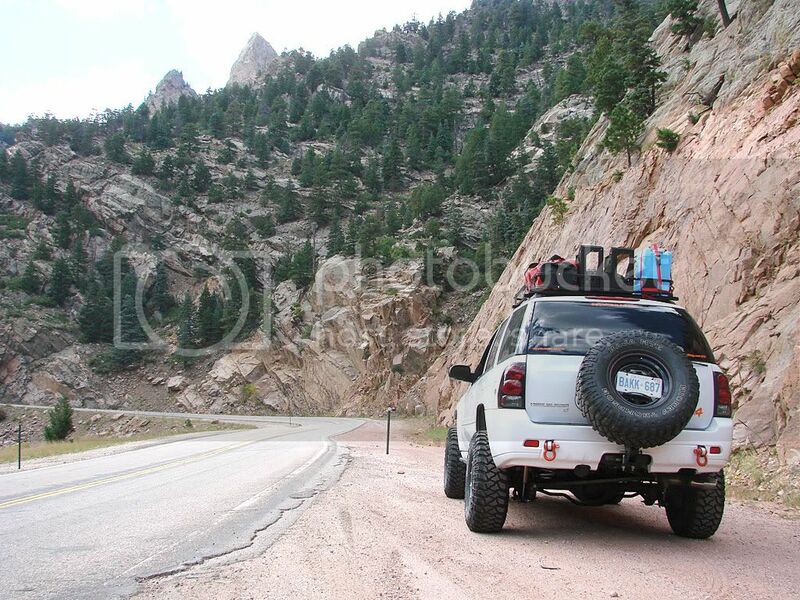 This feeling was multiplied as I still wanted to make my expedition from Toronto to Colorado at the end of August. 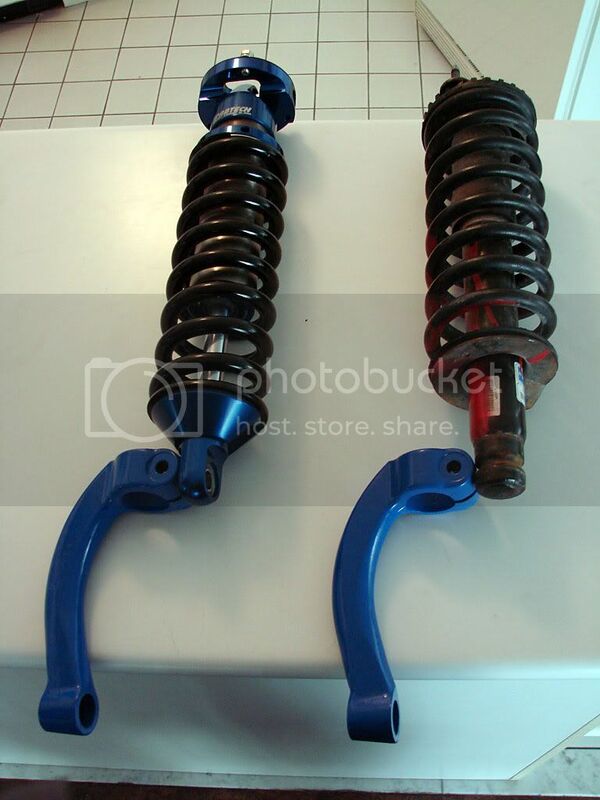 So I renewed my efforts to research a custom suspension setup. 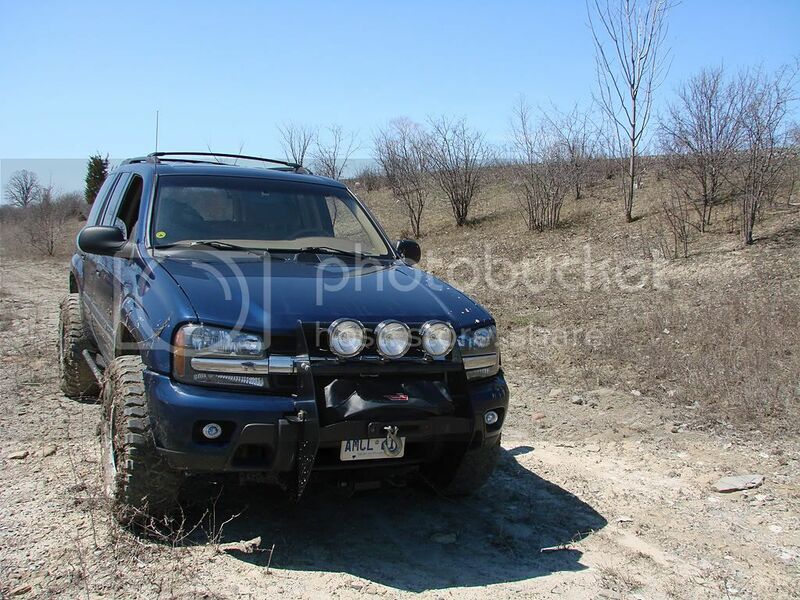 Additionally, this was made absolutely necessary in my opinion as I had also decided to go with a custom-adapted front bumper setup and new Warn winch, all of which would add over 200 lbs to the front of my vehicle. Lets get the easier stuff out of the way first. 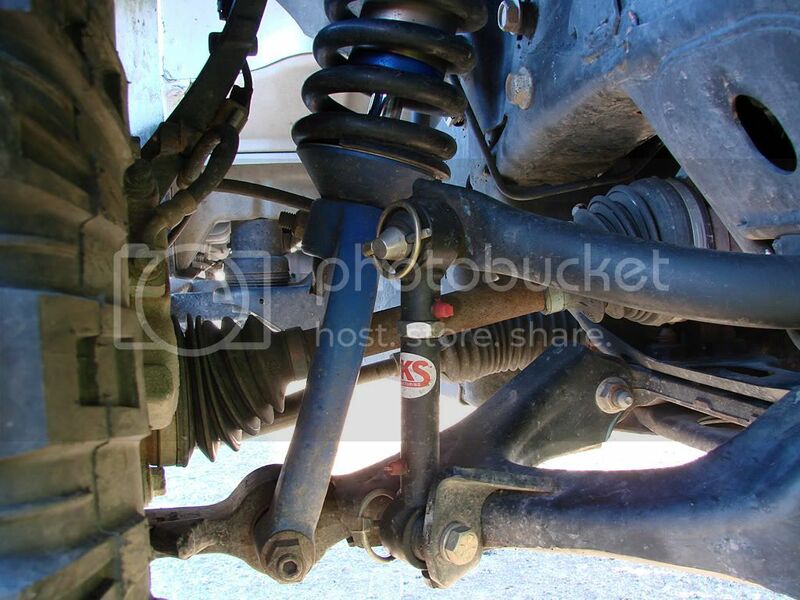 Why go with disconnectable links when our stock articulation is not great to begin with, specifically the front? Well it was not all about being able to disconnect. My main requirement was to upgrade the end links to longer heavy-duty units that would not need replacing ... ever. These units from JKS Manufacturing more than fit the bill. 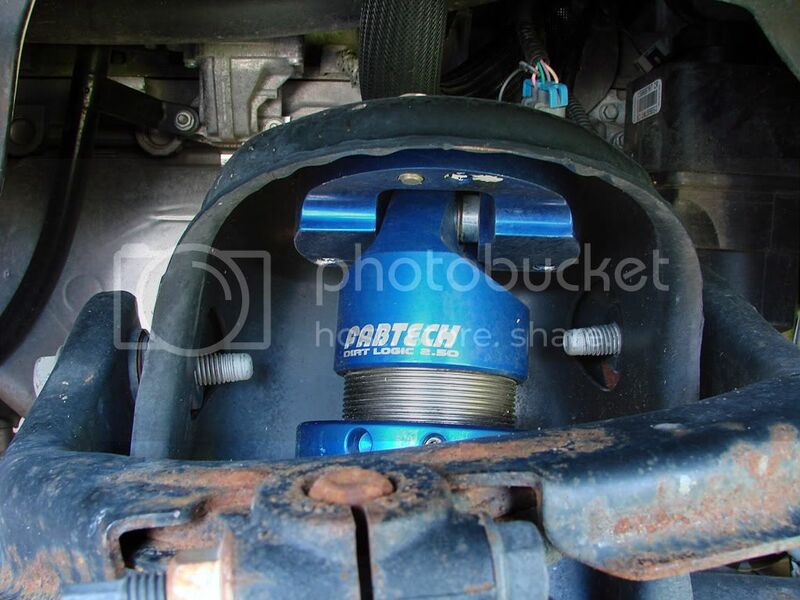 As you can see, they are extremely heavy duty, are adjustable, have poly bushings, are greasable, and ultimately can be removed and rebuilt by replacing the bushings. The two model numbers that I guessed would best suit my application were 3100 (shorter for front) and 3104 (longer for rear). I ended up not having to use the spacers, but will actually use the spacers in another area, just turned out lucky in that respect. The mounting ended up being straight-forward in the front, but not in the rear. 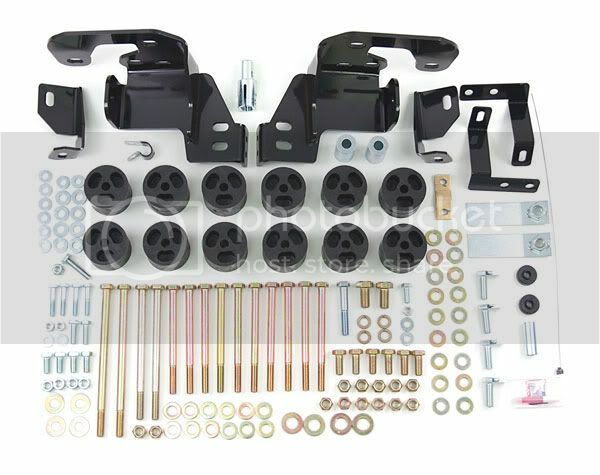 The angles of the frame mounting points and anti-sway bar holes in the front allow for the 3100 to be mounted with no modifications to anything. The rear is a different story because of 2 factors. 1. 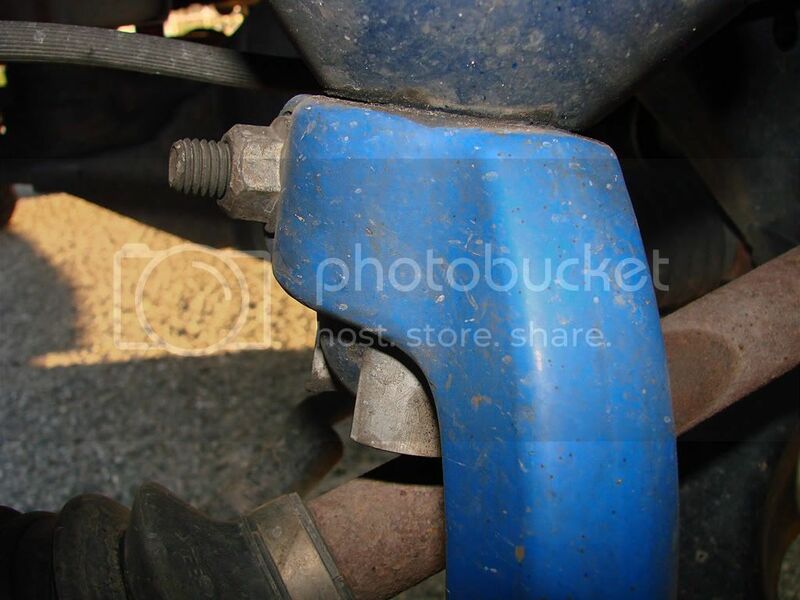 The frame mounting point and hole is on a strange angle, and no matter what, when the mounting post is attached, it is on too much of an angle vertically to allow the link to be slipped on - the bushing just does not rotate enough. 2. 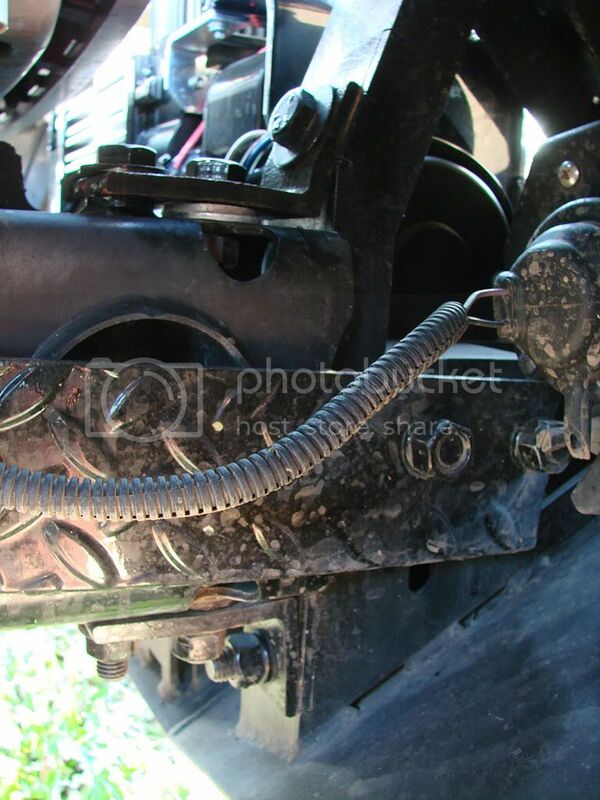 The brake line is right in the way at the frame mounting location. 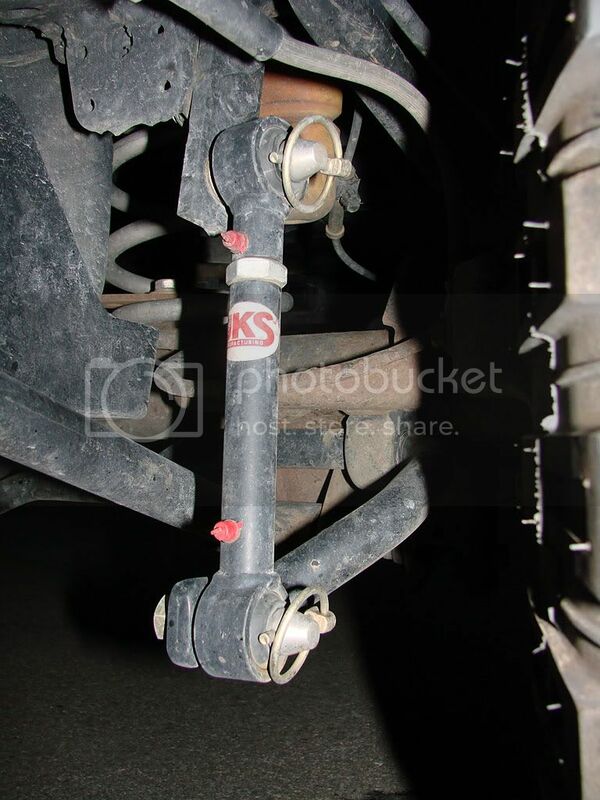 Even though the link could be slipped onto the post (if it were at the correct angle), each time that was done the brake line would have to be moved out of the way, and too much of that could definitely cause problems down the road. So what my fab guy did was to bolt and weld an extension off of the mounting point and frame. This brings the mounting point down and allows for the post to be attached at a perfect angle and as a result, the 3104 ends up being perfectly vertical. So far, the links have been rock-solid, and I have put a lot of kms on them. The next test is this winter here in southern Ontario with our snow, sand, and salt. What their condition will be in the spring is yet to be seen. I may end up replacing the bushings which is not a big deal ($3.50 each), plus I will probably touch up the actual links in a week or two with some POR-15 as they have incurred some scratches. The mounting posts are stainless steel and I have used grade 8 mounting bolts so rust on these should not be an issue. I decided to go with the BDS body lift again as I like the way it helps with my 33" tires. Trimming is still required to the wheel well lining, and to one section of metal (see my old 33" tire thread), but with the body lift, you can usually stay away from trimming the actual fender, as The Roadie and JamesDub did, great work by the way. With the lift at 2", the frame rails are not extremely exposed. 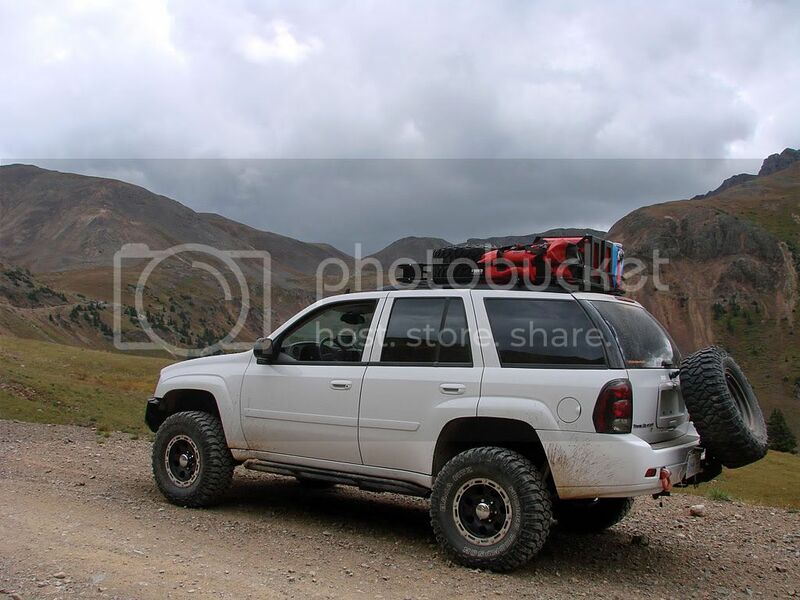 And with the custom rock sliders I have, you can barely notice the rails. I ended up going with the Hotchkis upgrade again, although I first tried the Eibach front and back anti-sway bar kit. Be careful on that Eibach kit as they claim it is for ALL years, however, the front does not fit the latest years when the front bar mounting locations were changed and the bar reduced in size. Luckily the dealer I bought it from took it back. 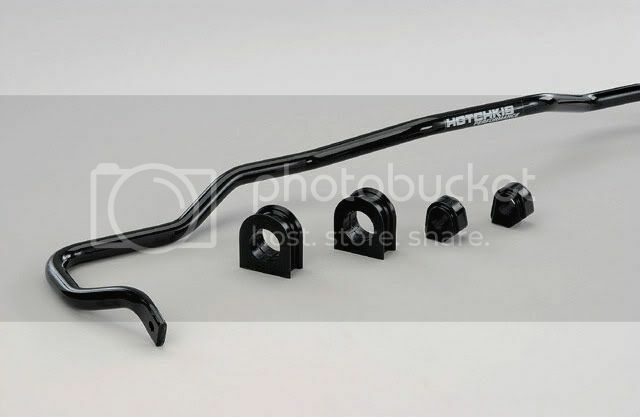 The Hotchkis kit comes with a thicker rear bar and poly bushings. Plus they give you two sets of front poly bushings, one set for the older larger diameter front bar, and one set for the newer smaller bar. 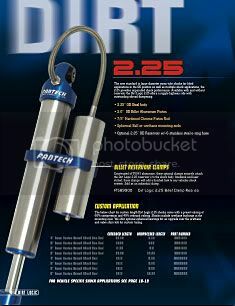 Ever since I picked up FabTech's catalog at National4WD, I was totally impressed with their products. All their stuff looks like it should be on Baja race trucks, and let me tell you, after many kms I can attest that it performs like it is. The only problem I encountered is that since their stuff is so specialized, it ended up being really difficult to nail down a supplier. National4WD ended up not carrying the line in stock. They could get special orders, but even that proved to be problematic. Luckily North Shore Offroad in Vancouver filled in nicely, and in fact had a line to their technical department which helped out by providing some measurements on the front coilovers, but more on that later. 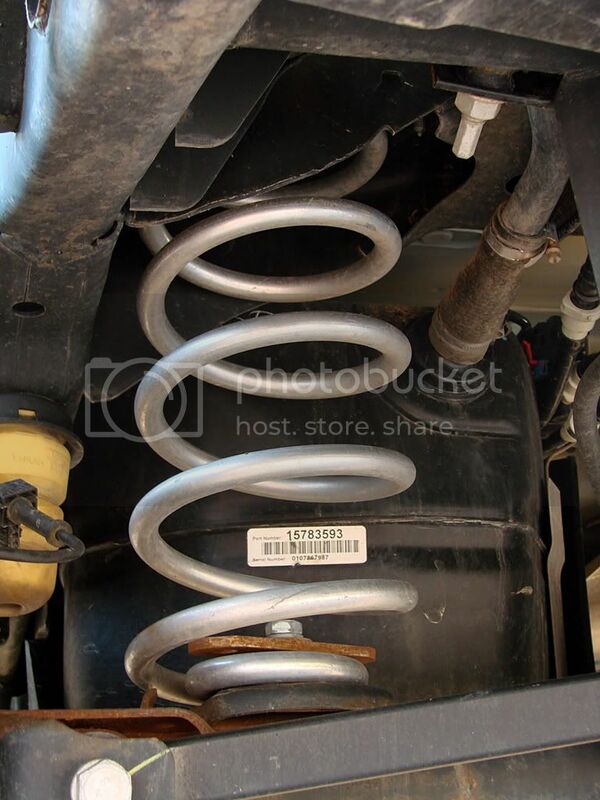 But first I should talk about the rear springs. As I was not going to go with the BDS suspension lift kit this time (FabTech front coilovers instead), I was not going to have the 2" spacers available from BDS. 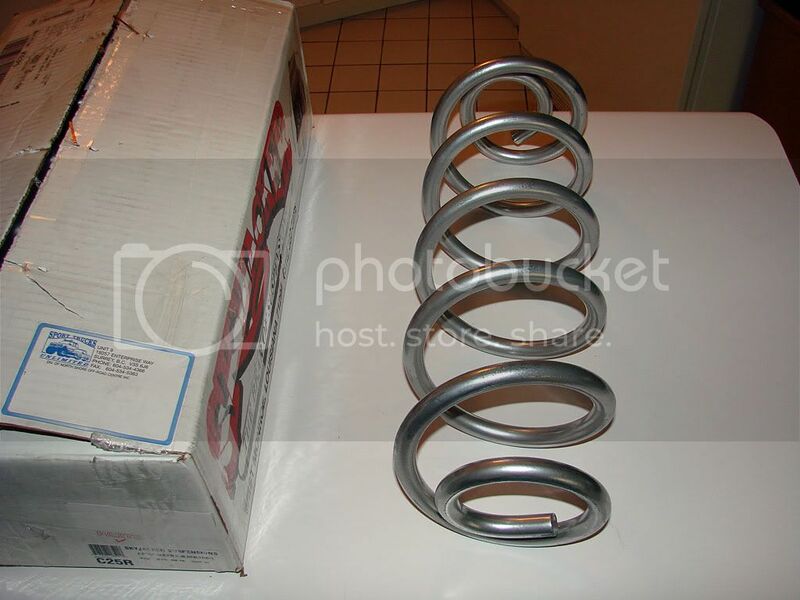 I thought about trying to get the Japanese rear springs, but ultimately ended up going with something more local in the form of SkyJacker lift springs for the Tahoe/Yukon/Suburban line. SkyJacker sells 2 versions for all these models, the C25R which give 2.5" of lift and the C40R which give 6" of lift. This decision was a bit of a chance on my part as I did not have any locally to measure. I did not know what their full outside diameter was, what was the inside diameter at the mounting points, and what their actual length was. All I had was a picture from an online source where I could see that their top and bottom ends looked similar to ours. I went with the C25R which ultimately gave me 4" of lift in the rear. Anything more would probably result in the rear axle being moved too far forward, and potential driveshaft and u-joint angle issues. This did however result in an upward rake for the vehicle, but I personally don't mind that in this type of build. The springs are a bit larger in outside diameter than ours, but ultimately this does not pose a problem. I was worried that they may rub against the rear of our gas tank, but they don't. They also have a greater spring rate, so you get a significantly stiffer ride. 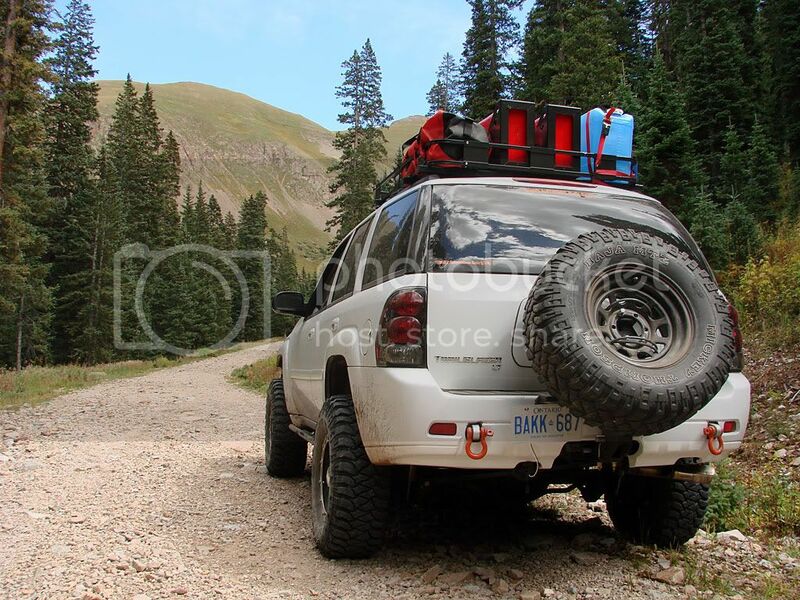 This may not be a good thing to many of you, but when you load up the rear of the TrailVoy (including the roof rack) for an expedition, it is a huge benefit. I went over many significant drops on the trails in Colorado, and the springs held up perfectly, no bottoming out, nothing. I could have probably loaded up 500 more lbs in the back without any problems. The one thing that my fab guy did was to clamp the bottom of the spring to the spring cup. He said it was not absolutely necessary but was done for added safety. Did I mention how awesome the FabTech DirtLogic shocks are? I think I did. I will say it again, their dampening is out of this world. I haven't experienced anything like it in all my years of driving. 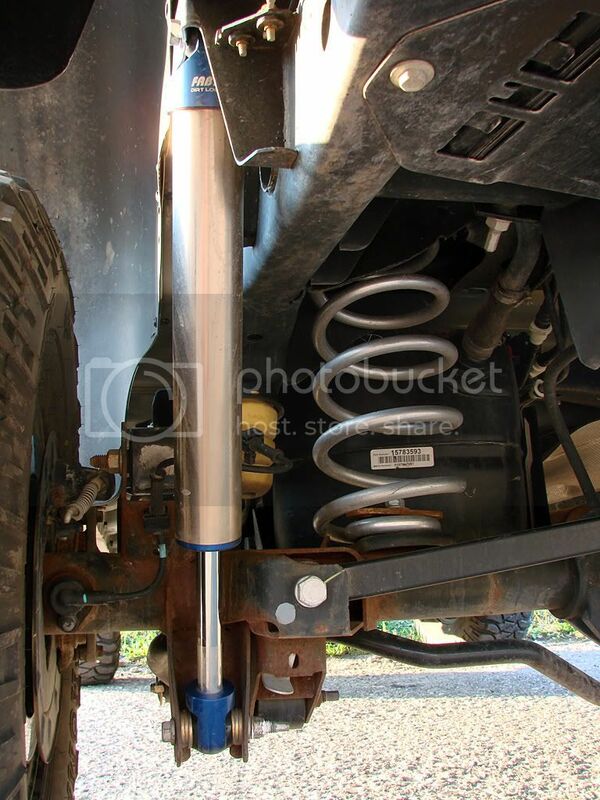 There is absolutely no pogo with these shocks ... none. I go over a bump, rock, anything, and there is the first compression, then ... nothing. Just outstanding. 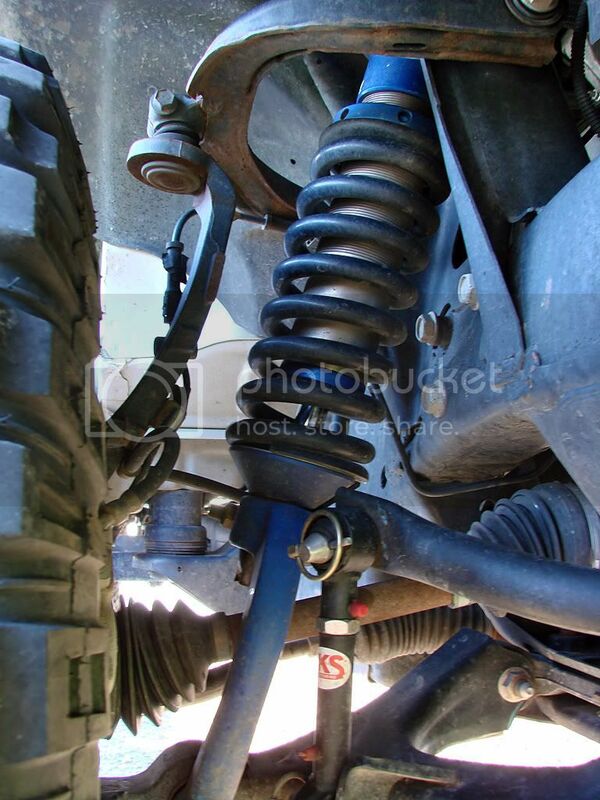 • They need to be mounted in the reverse direction of the stock shocks, i.e. the body at the top, piston rod at the bottom. This is because the billet body cap that holds the mounting ring is too large to fit in the bottom mount. • Spacers are needed at the bottom mount. 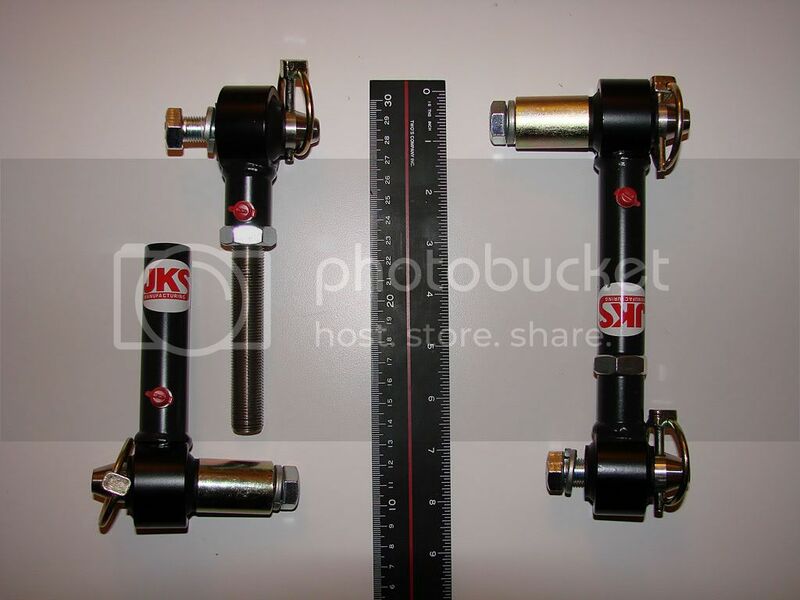 Currently, I am using grade 8 washers but will be replacing them with the spacers from the JKS anti-sway bar end links, they happen to be the perfect inside diameter, and when cut in half, the perfect width. I'll be putting in the spacers soon, along with some FabTech boots I bought to protect the piston rods from stones, winter, etc. Overall, I am ecstatic with the rear set up. 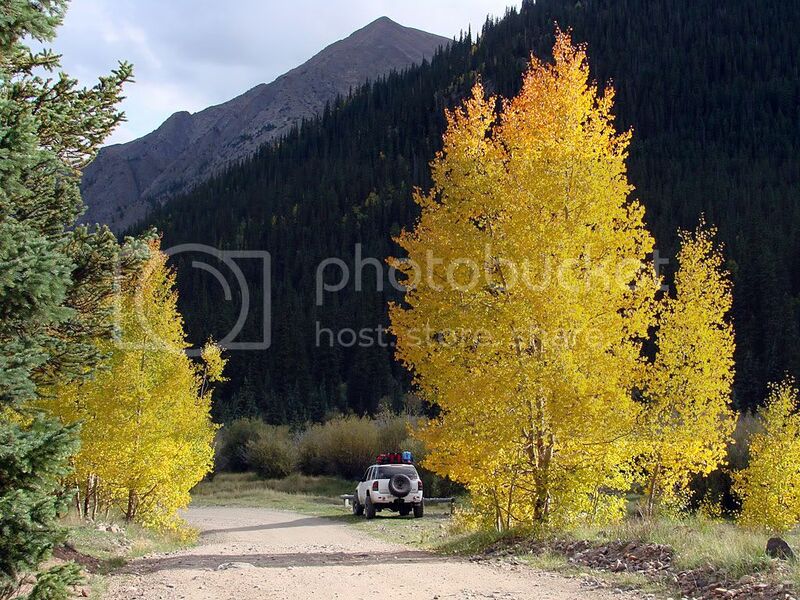 It performed flawlessly on those mountain and canyon trails in Colorado. 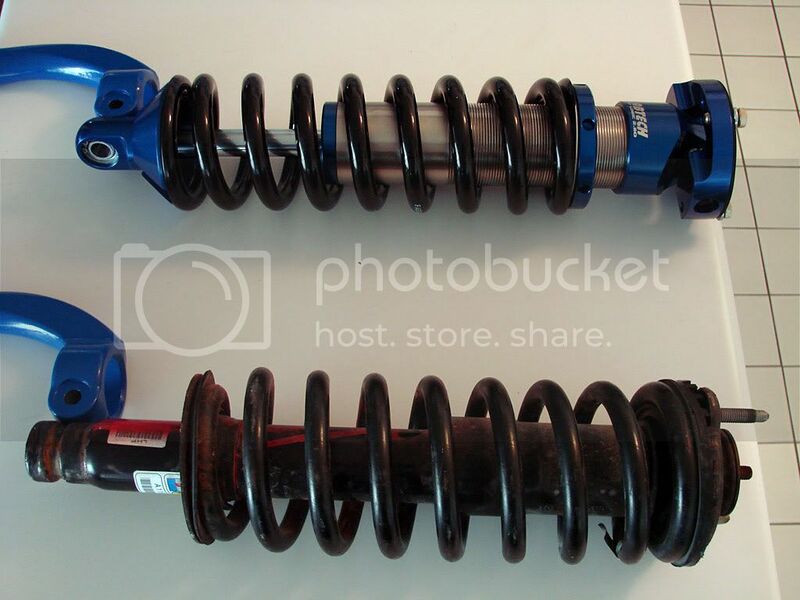 These were for a 2005 Jeep ZJ. As you can see, they looked promising because of the upper mount and how it would potentially fit into our mounting cup. But more important was their bottom mounting, and how it looked like it could work with our stock strut towers (which wrap around the front CV axles). Problem was that month upon month, I could not get any measurement data on them. 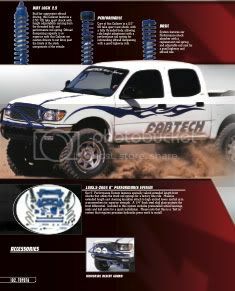 Not from FabTech directly, or through my contact at North Shore Offroad. Well time was running out for my trip to Colorado so I took a BIG chance and just ordered them. And then the worst thing that could happen, happened. I got word back from NSOR that this model was discontinued. In fact, there were never any built, other than a prototype. They decided that there was not a big enough market for them so they cancelled the program. So I started scouring the catalog, the web site, any source I could get my hands on for a potential alternative. 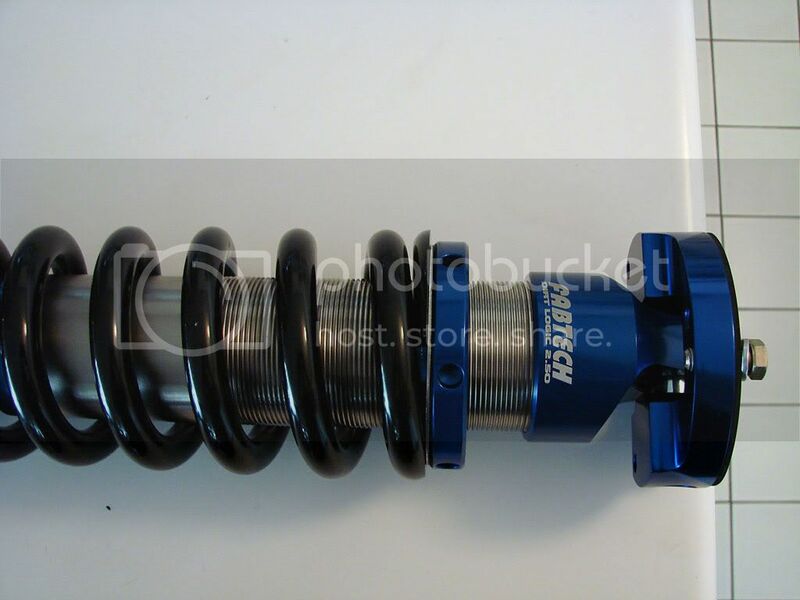 What jumped out at me was the FTS2500K 0"-3.5" adjustable coilover system for the Toyota Tacoma and 4Runner. The thing that sold me was the instruction manual they had online which had a very accurate technical drawing. 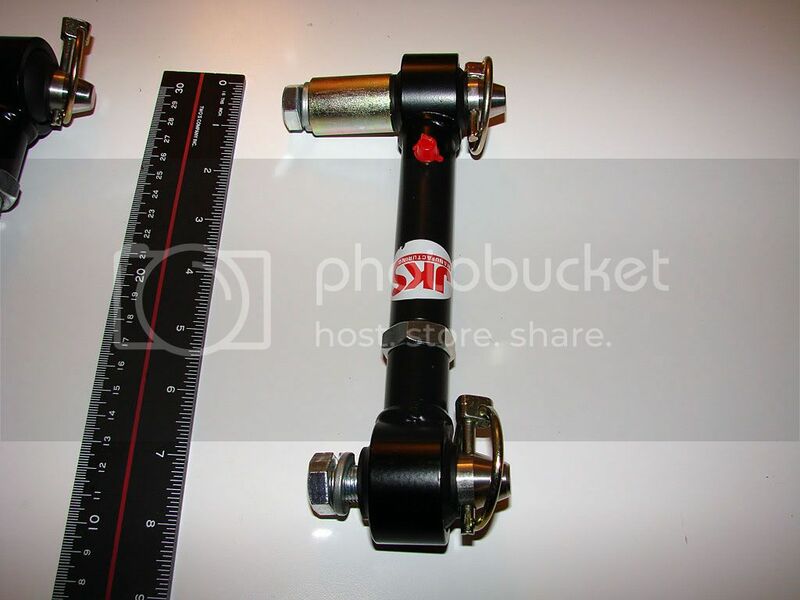 Knowing that the width of the shock body was 2.5", I could use Photoshop and extrapolate all the other measurements. From this I could be quite certain that the spring diameter could work, that the mounting plate could fit inside our cups, and that the length was workable. The only thing that had me worried was how to mount the bottom of the coilover to the strut tower. Well, time was still running out so I decided to just go for it! While I was waiting for the order to come in, I used this great used parts locator and bought 2 strut assemblies locally. After removing the struts I cleaned up the towers and got them powder coated blue to match the FabTech parts. And here are all the pieces next to each other for comparison. And some close ups on the coilovers. As you can see, the build quality of these parts is outstanding. However, the problem I was afraid of, came to pass. The diameter of the bottom coilover mounting point was larger than the inside diameter of the strut tower. I thought about getting something fabricated that would slip inside the strut tower (and get pinched by it) and provide a pin mount that would be above the strut tower. 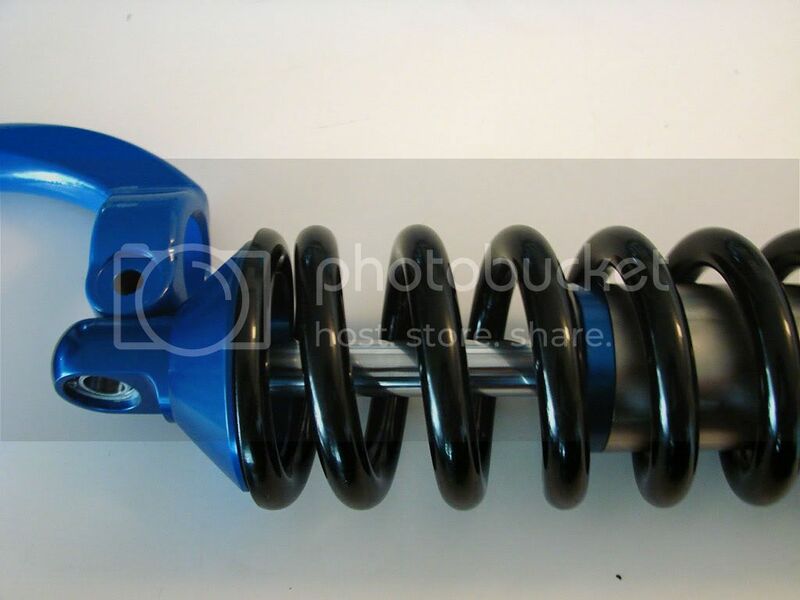 However, this would increase the effective length of the coilover by a couple of inches. Plus I was not comfortable with changing the engineering of our suspension by making the bottom mount a swivel-type mount instead of how it is stock, i.e. firmly attached to the tower. 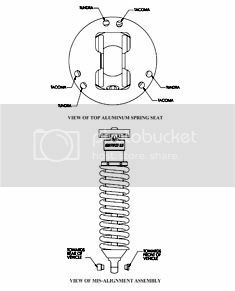 • The coilover would be inserted into the tower all the way up to the bottom of the spring cup (see picture above). This would pinch not only the spherical ball area, but also the small lip at the very top which is the full diameter of the mount. • To accommodate this, the inside of the tower would be machined and the inside diameter expanded. • The spherical ball openings would be oriented facing forward/back, to clear the bolt that partially passes through the strut mount. • Then for added support/safety, he would machine 2 aluminum "half-moon" inserts, joined with a bolt that actually goes through the spherical ball mount (hidden) to "fill in" the space that is part of the coilover mount design, which allows the strut tower to pinch not only at the top (where the Fabtech is round) but all the way down to the bottom of the strut mount. So there it is. The coilover was adjusted with the bumper and winch weight to give 2.5" of lift. Anything more would probably give rise to serious CV axle binding. As I wrote in other posts, the entire vehicle has been given vigorous work outs in my mini expedition around Georgian Bay, and then on the big one to Colorado. 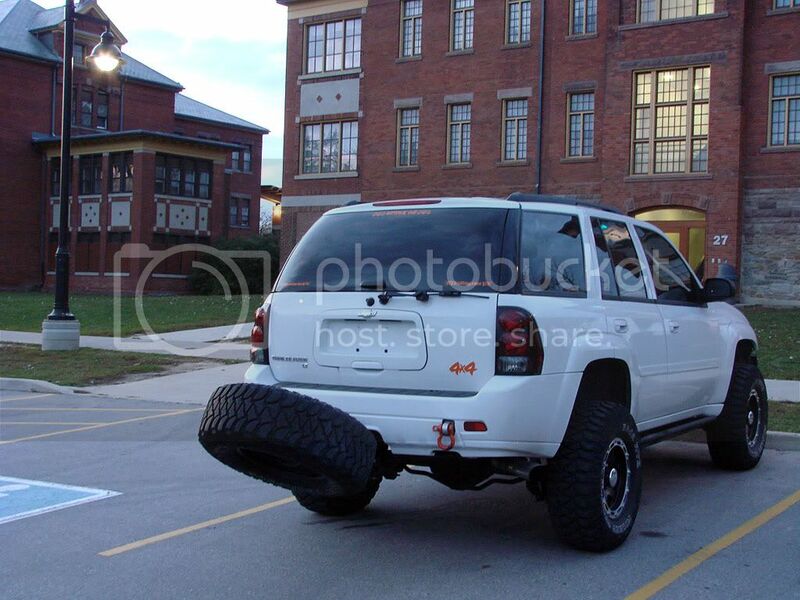 very nice, mind telling us how much you got into that tire carrier ? the links dont have the prices... :bowdown: great thinking/planning. Wow, the vehicule looks super. Can you post some of the mods to the surco rack? How did the rack feel with all that stuff in it? I believe it's rated for 250 lbs? ?